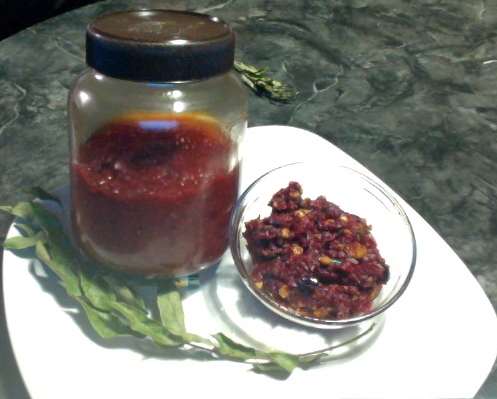 Carrot & Cranberry pickle is very easy to prepare and mouth watering. It is made out of pickle masala which I bought. Pickle masala contains salt also. So you do not have to add salt unless you want some extra. I had to add some salt the next day. Some extra oil to add the next day. Cut each cranberry into half. Cut carrot and radish into small pieces. cut garlic also into small pieces. 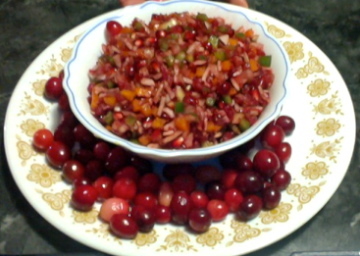 Take a big bowl and mix together cranberry, carrot, radish and garlic. 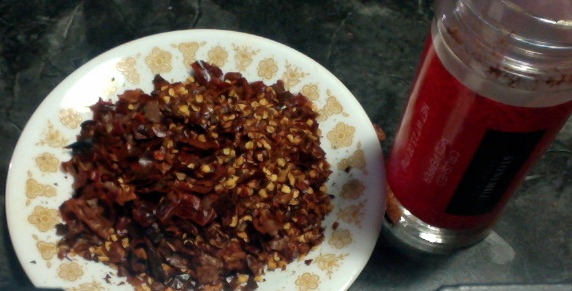 Then add pickle masala and mix it well. In a small pan take oil and heat it up on medium heat. When the oil is hot add fenugreek seeds followed by mustard and cumin seeds. When the mustard seeds started spluttering turn off the stove. Add hing (asafoetida)curry leaves and turmeric. Add this seasoning to the pickle and mix it well. Let it sit for that day. Next day give a mix again and add some oil (about 1/2 cup and some salt. 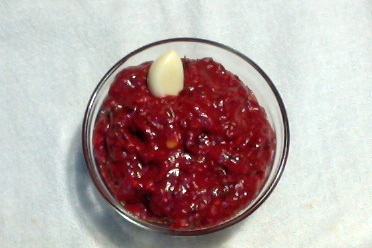 Give a good mix and enjoy with rice or just as a condiment on the side. Do not add any salt on the first day. Add on the second day. 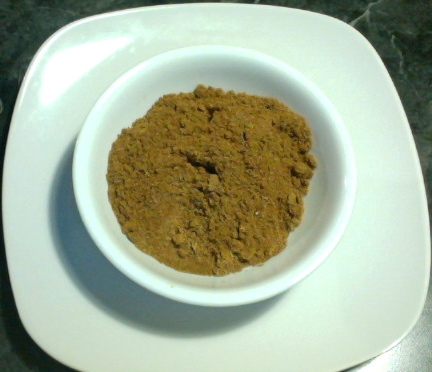 Pickle masala is a mixture of different spices like chili powder, fenugreek seeds, salt, mustard seeds, coriander seeds, fennel seeds and hing or asafoetida. Be careful with hot oil. Cranberries are full of Vitamin C and Antioxidants. Carrots are rich in Beta carotene and Antioxidants. Radish has Anti fungal properties in it. Garlic is an Antibiotic and Anticoagulant. Chili pepper is a pain reliever and it can open up your congested nose. But I have to say that the salt is the problem here. So go moderate with it.